The Poetry Archive also aims to ensure current leading English-speaking poets are recorded reading their own work for future generations. 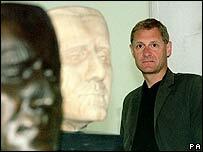 The free archive has been created by UK Poet Laureate Andrew Motion and recording producer Richard Carrington. They say the website will prove invaluable for students and teachers. "Actors may, or may not, read poems well, but poets have unique rights to their work, and unique insights and interests to offer as we hear their idiom, pacing, tone and emphases," said Mr Motion. "They all, in their different ways, validate the intention of the archive to preserve the mystery of poetry while tearing away some of the prejudices which can make it appear unduly 'difficult' or separate from familiar life. "The readings are at once instant in their appeal, and lingering in their impact." Working poets featured on the Poetry Archive will include the likes of Margaret Atwood, Seamus Heaney and Harold Pinter. Many of the best-known 20th Century poets were recorded reading their own work but there are significant gaps, said the archive's founders. 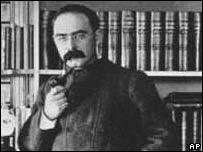 Recordings of AE Housman, Thomas Hardy and DH Lawrence, for example, do not exist. A recording programme which began in 2000 has already proved how necessary and invaluable this initiative can be, the organisers said. Cornish poet Charles Causley was recorded some 12 months before he died in 2003 and the voice of New Zealand poet Allen Curnow was captured just before he passed away in 2001. The Poetry Archive is a charity developed with the help of an education group led by poet Jean Sprackland with funding from the government, the National Lottery, arts organisations and private benefactors.